Great compilation with 2 previously unreleased tracks. Radio host and humorist Garrison Keeler is reported to have called Old Crow Medicine Show (OCMS) "one of the greatest bands that 'A Prairie Home Companion' has ever had the pleasure to host." With their fusion of bluegrass, folk, country and blues, OCMS have reintroduced what their biography calls "traditional American roots music" for "fans sporting tattoos and piercings as well as cowboy boots and western wear." OCMS was formed by friends and classmates Ketch Secor and Chris 'Critter' Fuqua. 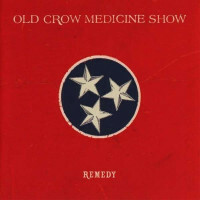 Other original members included Willie Watson and Ben Gould. The four began playing together around Ithaca, NY in the late ‘90s. Their first album was a 10-track cassette 'Trans:mission,' that they recorded in a college dorm. A fortuitous meeting with the daughter of blind Country music legend Doc Watson led to performances in North Carolina and then Nashville, Tennessee, where in 2001 they made their Grand Ole Opry debut. Three years later the group released the first of three well-received studio albums, 'O.C.M.S.' Michael Ross, who reviewed their debut album for Amazon.com, wrote "that they have assimilated not just the sound—banjos, harmonicas, acoustic guitar and bass [of mountain music]—but more importantly the haunting spirit of music that was made to keep hard times at bay." As for Big Time In The Jungle, Ross wrote, "…though it is about Vietnam [it] could easily be transposed to 2004's desert conflicts." 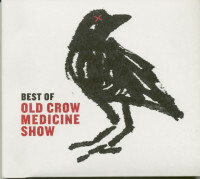 Customer evaluation for "Best of Old Crow Medicine Show (CD)"